At the age of 15 he started touring with a small group. Realizing he needed to learn more, Bob enrolled in the McPhail Conservatory of Music in Minneapolis. With a fine musical education, piano and operatic voice training, he set out again on his musical journey to become the finely polished performer he is today. Bob will tell you, he believes that music is a ladder for the soul. He shares his gift freely with everyone, whether in fine music halls and theatres in Russia, hotels in the Caribbean and South America, luxury cruise ships, or in the "gers" (tents) of the nomad tribes of Mongolia. 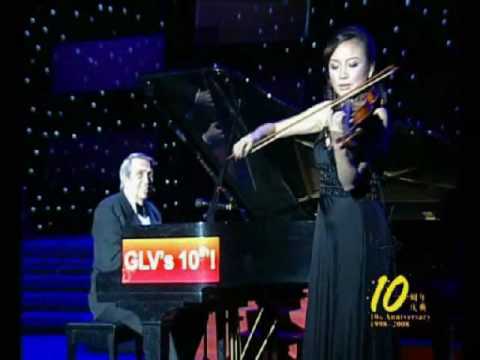 BOB Bellows, 83, an international American entertainer, jazz pianist and singer who has lived in Zhuhai with his wife, Jene, for 10 years, issued his first book in China in June. Written in both English and Chinese, the book displays his wonderful life-long trip around the world, his experiences of growth and performances, his life in China and Mongolia, people he met and those who have changed his life, and his thoughts about love and life. The book reflects the glamorous and refreshing facets of show business and mirrors the soul of the world-renowned musician. BOB Bellows, 83, an international American entertainer, jazz pianist and singerBob is happy that the book has been completed after more than a year’s writing, translating, proofreading, correcting and printing. A lot of his Chinese and western friends have contributed to the book, he noted with glistening gratitude. Attached to the book is a cognominal album with Chinese, English and Mongolian songs in native language. Bob explained that he wrote the book because people around him always show curiosity about his career as an international entertainer. He guaranteed all are true, mild stories without being created or exaggerated. “Everything is there. It’s me. That’s how I feel,” he said. In writing the book and in pursuing his career, Bob said his favourite word is creativity. His whole life is made of that, he claimed. “It would happen as you make it happen -- all life is that way,” he said. The next word is perseverance -- to persevere and never give up. The third is tenacity, which means “believe in it and continue to believe in it” and the next word is patience followed by vision -- to make it happen, he concluded. “Being a musician-entertainer I am by nature outgoing, so I meet people easily. I find the Chinese people so very interesting in many ways. I have many ‘street friends’ that work the streets as vendors and people in shops and restaurants. Maybe because I am not Chinese they are so nice to me. But I feel if you show your love, then you get love in return. They help me to learn my songs in Chinese. We laugh and show mutual feelings of warmth and caring even if we do not speak each other’s language. “My favourite saying is ‘luck is hard work.’ To be ‘lucky’ you must be well-prepared by being as educated as possible through hard work and then you can be lucky because you are prepared to be called lucky. “With a goal, a dream, something to live for, your life is vibrant and alive. Without this it can be debilitating, meaning it does not have substance. A goal is to have a place or something you have to work to get to … to achieve and earn a position. “Of all my travels, the past 10 years living in China have been most interesting and rewarding. Never could have dreamed my feelings for this country and its people. This all happened between the ages of 70 and 80 … hope for an extension of time to live it to the fullest. They accept me in the theatre and applaud loudly my performances. “Sometimes we’re born with certain things. My parents gave me enthusiasm. I still have as much enthusiasm now as I did when I was a kid and when I go on stage. I’m enthused with life,” Bob said. With such great enthusiasm, Bob has been traveling and performing in various American states, Chinese cities and Mongolian areas and has met all kinds of people. He had performed with Elvis Aron Presley and other world-famous artists and show-people. At the same time, he has befriended orphans, the needy and “street friends.” He has taught Nico Deng, an 8-year-old sightless native girl, for three years free of charge. “Unassuming, that’s the most of me,” Bob said. A dream or a goal plays a very important role in one’s life -- What are you going to do? Where are you going? Who do you want to be? All these questions are closely related to what one would become, he noted. One has to have a goal in mind, which will help put him on the right track of life, he added. Bob admitted that he had received a lot of wrong directions and advice in his 20s as a good-looking kid. “Now I look back, all those people are dead. They all told me how to live. I should have listened to my own heart beat; listened to my own sense -- listen to yourself,” he stressed. Seventy universities in Shanghai, Hangzhou, Ningbo, Xiamen and other cities have invited Bob to sign his book and his ensuing destinations are Mongolia, Chengdu, Beijing, Tianjin, Hangzhou and Yichun in Northeast China. “Talent must not be wasted …. You are born with capacity but development of a talent after discovery is the most important as to where it will go in the future. Therefore whatever you are destined to be is just what has been said from the Top! “TALENT MUST NOT BE WASTED”. HUG IT, EMBRACE IT, NUTURE IT, AND SHARE IT AS IT CAN BE TAKEN AWAY FROM YOU AS FAST AS IT WAS LOANED TO YOU,” Bob advices in his book.